Convenient: built-in battery and USB charger, plug in and charge. Low divergence laser beam(< 0.5 mRad), far range(>1.24 miles). Max output power 50mW, low risk, generally recognized as safe. 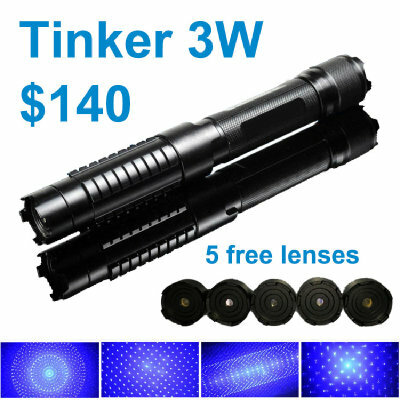 Available laser color/wavelength: green 532nm, red 650nm. Lazyboy laser pointer is featured by its smart integrated design: with built-in high-capacity Li-ion battery and USB charger. Just plug in and charge, no USB cable is needed. Key specifications: laser color/wavelength: green-532nm or red-650nm, 50mW(generally recognized as safe), low divergence laser beam(< 0.5 mRad), far range(>2000m / 1.24 miles), long battery lifetime(about one hour). It is suitable for office, teaching, astronomy star-pointing, tourism, camping, etc.